Reflecting Little Cayman’s quaint charm and intimate warmth, Little Cayman Beach Resort is a secluded oceanfront oasis with a relaxed island ambiance, a boutique spa, Caribbean-inspired cuisine, and gracious personal service that treats guests to the true island experience. Little Cayman had been named a top dive site in the Caribbean for its iconic Bloody Bay Wall, year-round perfect diving conditions, pristine coral reefs, and spectacular marine life with our unique valet diving service, all aboard our fleet of custom Newton-built dive boats. 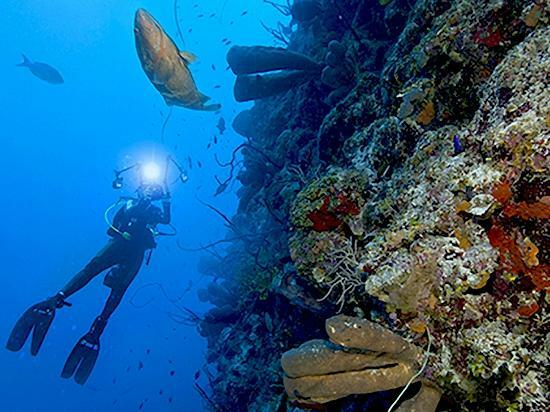 Little Cayman Beach Resort brings this magnificent experience beneath the sea directly onto the sand. No shirt, no shoes, no stress. Dive the depths of the sea with the height of convenience with our one-of-a-kind “valet diving” service. 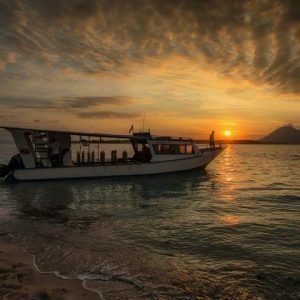 All that you’ll carry are memories, as our experienced diving staff, Reef Divers, oversees the lifting, lugging, and loading of all of your diving gear. Just relax and ride on our custom-built dive fleet to explore the island’s best diving sites. Immerse yourself in the thrill of the dive as our team takes care of the work and worries. 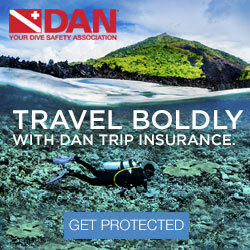 With this exclusive diving service, all you have to do is arrive and dive. For many of you, your diving gear is precious and personal. That’s why all divers receive a special mesh bag upon check-in at the dive shop to personally pack up their gear. On the day of your dive, simply leave that bag outside of your room and our dive team will take your bag to the boat for you to set up for the first time. Once your gear is organized as you like, leave its care and cleaning to our expert staff for diving without distraction. Forget the hassle of heavy tanks because our diving staff will change your tanks after every dive. And when your day of diving is done, our team will rinse your gear right on the boat as you unwind from your dive on the dock. Special rinse tanks and drying rooms are available on the dock for removing and rinsing your wetsuits and fins. Once you’ve experienced valet diving, you won’t want to dive any other way. Extra Bonus: All group bookings for diver package get a day trip to Cayman Brac Beach Resort, for a 2-tank morning boat dive and lunch!! This is weather permitting. 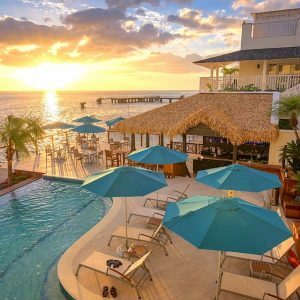 Resort Comfort: There have a bar, indoor or outdoor dining, the oceanfront pool with loungers, beach hammocks, tennis courts and nearby hiking trails. Additional Activities: snorkeling, kayaks, paddle boards, bicycles and spa services are available for purchase at the resort and reasonably priced. Note: All rooms and buildings within our Cayman Islands resort are smoke-free. 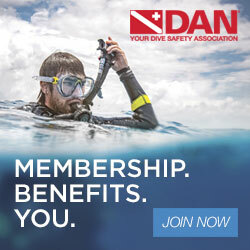 To purchase DAN dive accident insurance, scroll to the bottom of this page, and click on the DAN banner link, Join DAN Today!, then follow the prompts on DAN’s website. 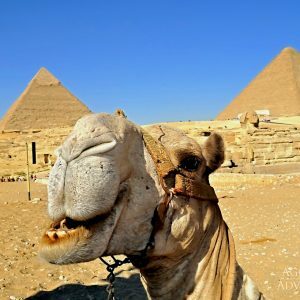 Once you evaluate your need for travel insurance, and you plan to purchase insurance, go to, https://www.madurodive.com/forms/iaform.php – use RV#106041 , to complete the online form.